It was a remark that was bound to raise eyebrows. And raise it did. 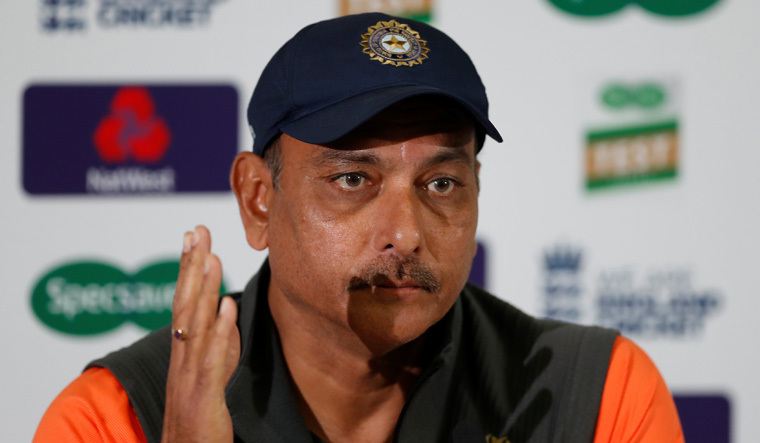 A couple of days ago, Team India coach Ravi Shastri had said that the current Indian cricket team was travelling better than the teams of the last 15-20 years. This, when India had lost the fourth Test against England by 60 runs, and, consequently, the series too. "… If you look at the last three years, we [Indian cricket team] have won nine matches overseas and three series (against West Indies and twice in Sri Lanka). I can't see any other Indian team in the last 15-20 years that has had the same run in such a short time, and you have had some great players playing in those series. So the promise is there, and it's just about getting tougher mentally,” Shastri had said. Expectedly, his comment did not go down well with former cricketers. Legendary Indian captain Sourav Ganguly and batting maestro Sunil Gavaskar slammed Shastri for his remarks. Gavaskar reminded Shastri that teams in the past had scripted famous wins. “What I can say is that teams in 1980s have won in England and West Indies. Rahul Dravid also won series in West Indies in 2005, in England in 2007 and captained when India beat South Africa for the first time (in South Africa). "Dravid gets very little credit for his leadership and his team's wins. There have been teams who have won overseas," Gavaskar said in a pre-match show. Ganguly, too, dismissed Shastri's comment, calling it “immature”. “These are immature comments. You should not pay much attention to what Ravi Shastri says. What he says and when he says things, no one knows. Whichever generation is playing for India, be it Chetan Sharma’s or when I played for India or when Dhoni played or now when Virat is playing, we are all the ‘Indian Team’,” Ganguly told a TV channel. “We all just represent the team at different times. It is not necessary to compare one generation or the other. I can say a lot more but it would not be correct. Virat Kohli and his players are working hard to perform for India; it would not be nice for me to say anything,” he said. Former swashbuckling opener Virender Sehwag, too, had lashed out at Shastri after India lost the fourth Test at Southampton. “The best travelling teams are made by performances on the ground and not by sitting in the dressing room and talking about it. You can talk big however much you want but unless the bat does the talking, and the ball does the talking, you cannot have a good travelling team,” Sehwag had said. Facts, too, contradict Shastri's claims. India won a Test series in England in 2007 and drew one in 2002. They also drew series in Australia (2003-04) and South Africa (2010-11), apart from winning in New Zealand (2008-09). With Shastri at the helm, India have lost Test series in all these countries, except New Zealand. The Indians haven't toured the Kiwi land yet under Shastri.